The options are “overwhelming” and the future far from certain. The Domes. Photo courtesy of the Park People of Milwaukee. Everything is on the table for the task force charged with envisioning the future of the Mitchell Park Domes. The Domes Task Force, created by the Milwaukee County Board, saw a presentation Tuesday night from an economic and management consultancy that set up the process by which the future of the domes will be determined. 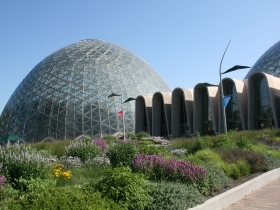 The task force has yet to get into the weeds of any potential plan for the domes. But they have a general layout of the process they will undergo. The first step for the task force is creating a vision for the future of the domes. Robert Brais, vice president of of ConsultEcon, Inc., laid out three broadly defined paths forward Tuesday night. They boiled down to (1)improving the current performance of the domes; (2)pursuing aspirational goals for them; or (3)exploring a new use altogether for the domes and the site. And with each general path, there are a multitude of different approaches the county could take. William Lynch, chair of the task force, said he thinks they should aim for three to four scenarios to present to the public at the first public information meeting. But before that, the task force will hold a work session to tailor a vision for the domes and build scenarios around that vision. “It sounds overwhelming, but everything should be on the table,” said John Gurda, a member of the task force and longtime Milwaukee historian. The options for the path forward are many indeed. Even for one possible scenario, like focusing on improving the current performance of the domes, the task force could work to enhance the existing operations through reorganizing governance or a partnership with another institution. Or it could apply targeted investments in greenhouses or energy efficiency or better integration of STEM into the exhibits. Or it could work on a combination of several of those options. And those are just some examples from one possible path. The task force could also look at aspirational goals for the domes, making them a destination conservatory through upgraded “world class” exhibits and new programming, and other changes. This approach could also include a partnership with an organization, like a university or a corporation. Or they could look at demolishing the domes and using the site for a new purpose, or repurposing the domes themselves. Or they could work on an approach that uses ideas from all of these paths. In short, the future for the domes is entirely uncertain at this point, due to the many possible approaches the task force could take. But one thing is certain. The issue of the domes is not divorced from the county budget process, or its politics. Whatever the task force brings to the board will be weighed against what it will do to the immediate county budget, and what it will do to future budgets, said area County Supervisor Jason Haas, a task force member. Saving or losing the domes will require investment by the county, and the task force will have to weigh that when choosing what to present to the county board and county administration. (1) Whenever you take someone to The Domes for the first time, their immediate reaction is “Wow, this is great.” They may see the leaks and deficiencies, but it is all within a context of “Wow, this is great.” That is anecdotal, but a big deal. A visit is never a disappointment. (2) Every city has a limited number of important assets. Despite its long-term neglect, The Domes is one of those assets. People should think long and hard about losing it. (3) The effects of austerity and disinvestment are pretty obvious in the physical plant, but become clearer in discussions with management and staff who have dealt with “less” for so long that they have difficulty envisioning a better future, but have ready responses about why virtually any improvement is unworkable. Pessimism is self-fulfilling. (4) Given the absence of real sales and marketing and the attitude that “if they come, good, if they don’t, that’s okay too,” there would appear to be significant potential for big attendance increases and revenue generation with aggressive marketing and the development of strategic partnerships. 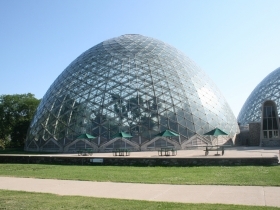 (5) As a destination, The Domes does not have competitors, but has plenty of potential partners from museums, SummerFest, sports venues and others that could make The Domes an easily accessible additional visit site. And, unlike many others, it is not a “one time” destination. You come back. (6) The best strategic way to look at The Domes is as the center of concentric circles, with the next level being the immediate surroundings, including potentially rebuilding the Sunken Garden, then,Mitchell Park as a major activities destination an, finally, the surrounding community and its institutions as a second South Side garden district and a center of horticultural learning and activity. (7) the optimal approach would appear to be a public/private partnership, similar in some ways to New York’s Central Park Conservancy, with leadership and management in the hands of the private not-for-profit entity, bringing a sense of urgency, the capacity to execute a plan/manage change, and a strong customer service ethic. I posted my thoughts months ago somewhere. In short, I agree with an aspirational approach that leads to a grand vision. Why not? Milwaukee is on a roll, and there is nothing to be gained with anything less, at least at this stage. In fact, I wold love to see something truly extraordinary, even audacious. Really bust out of the old pointsettia and Easter egg hunt mentality. Demolish Domes on current site which can continue as a park similar to Cool Waters. Rebuild the Domes on the expansive grounds of the MKE County Zoo. Visitors would be able to get a discounted ticket price to walk through the Zoo and the Domes or purchase separate tickets for each venue. It would be the only dual botanical and zoological park in the country perhaps the world. The latest technology, design and programs could go into the new Domes giving it local, national and international attention and interest. 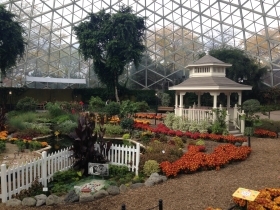 A separate dome/greenhouse for growing those special plants that the zoo animals require could be part of the structure. The educational possibilities are large from elementary through college, from field trips through internships. My suggestion is for four domes with a large circular center/atrium for gift shop, restrooms, area for kiosks/stations for vendors and at the very center an elevator, surrounded by a a spiral staircase, to a viewing platform that overlooks the zoo and the domes, a surcharge of a dollar per ticket to ride the elevator. Place the domes at true north, east, south and west; show dome, temperate, rainforest and desert. Located just off I-94 at a major crossroads from all compass directions, with plenty of parking, close to a major shopping center and folded into the existing county grounds. Current domes are over 50 years old and may be beyond repair. They are energy hogs during the winter months using over $250,000 in natural gas for heat. Glass is single pane with broken and fragile seals. Start over with a 21st Century vision. Demolition and redesign with a mix of indoor winter time uses that integrates energy efficiency, solar and thermal electric storage of energy, storm water storage, gardens, composting, etc. Indoor uses could be rock climbing and skate bike park for youth integrated into the complex, indoor winter concerts, winter beer garden meeting place, etc. At some point the task force could include a public design charrette as they put together a tentative plan. Not being facetious here, but perhaps Sue Black could be contacted for advice. Even though she rubbed some people the wrong way, she was instrumental with obtaining private funding to do repairs and install those great LED lights in The Domes. She was responsible for aggressively marketing The Domes as a venue for weddings, parties, and other private events. She also started the beer gardens, which have been become extremely popular and a much-needed source of revenue for the Parks. While Googling for info for this comment, I found out that Black’s replacement, John Dargle, Jr., had abruptly resigned from his position on November 30th. First Black gets fired with no explanation to the public, and now Dargle is suddenly gone. What is going on here, Mr. Abele? As far as relocating The Domes to the Zoo grounds, the Zoo grounds are not that expansive anymore because of the Zoo Interchange project. A huge area was sacrificed to accomodate ramps. The pachyderm area is getting a much needed makeover and the elephants themselves are being relocated to a different area of the Zoo. 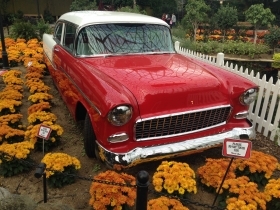 Many of the Zoo’s exhibits are outdated and too small. 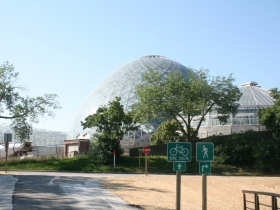 Also, the costs of building a new infrastructure for a horticultural conservatory on the Zoo grounds would be prohibitively expensive. Mitchell Park already has the infrastructure in place. Then there is the new complex of greenhouses adjacent to The Domes which, I am certain, were not inexpensive to construct. 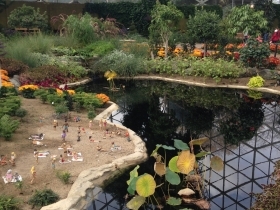 It appears Mitchell Park will remain the location for any future horticultural conservatories. I’m not aware if any of the other Milwaukee county supervisors have done the same. These are great asset to Milwaukee, much more if we had some intelligent promotion. I lived in Milwaukee for eleven years of my life. I live in Denver now. There is a structure here in Denver — not important what it was — but it was much loved. It was demolished about thirty years ago, and ever since then people wonder out loud what a mistake that was. 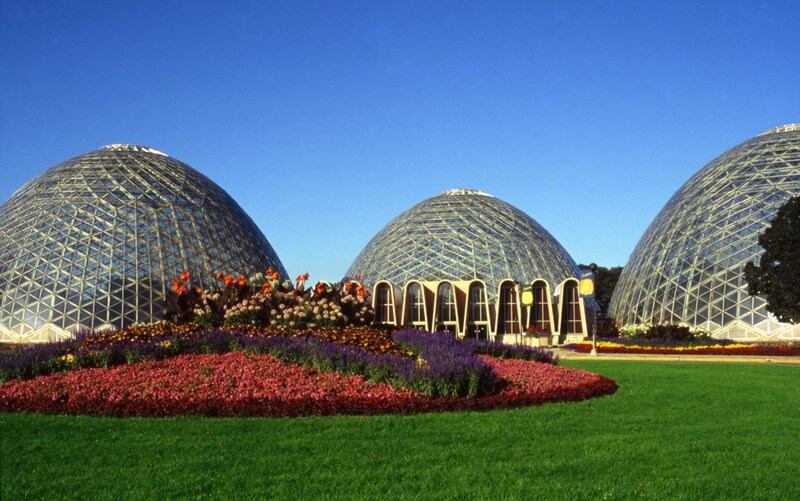 The domes are part of what makes Milwaukee unique. Whatever is done, I hope you won’t lose them.